and is our newest limited edition coffee all the way from Tanzania! Uhuru Peak is in season - lighter roasted, plummy and surprisingly rich! 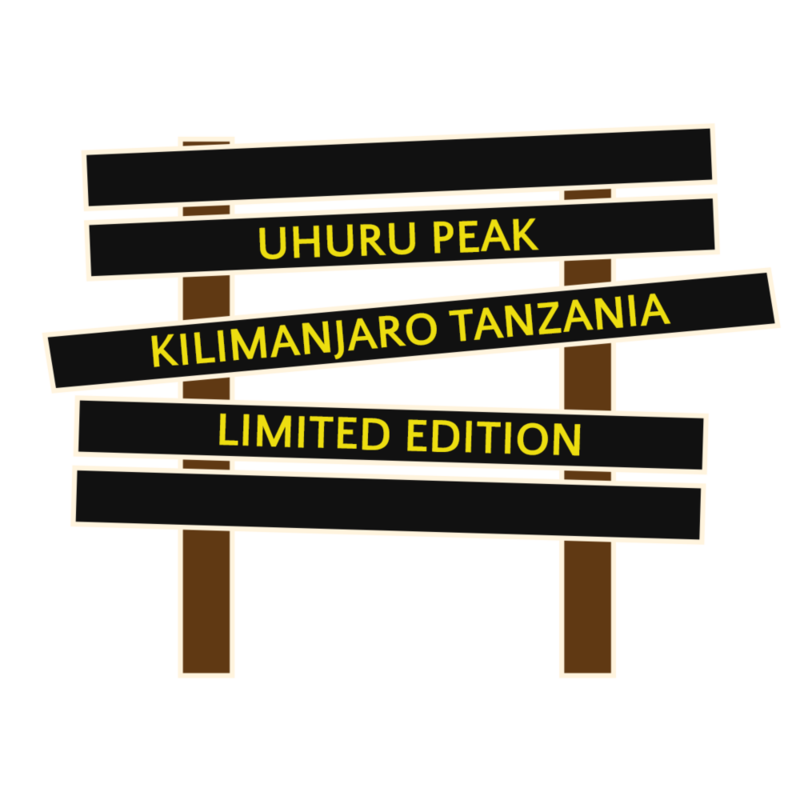 UHURU PEAK is now shipping. This delightful coffee is named for the highest summit of Mt. Kilimanjaro. The coffee was grown a little further down the mountain in the Kilimanjaro region of Tanzania. A small lot purchase, this is a real limited edition so try it while you can! I visited Tanzania several years ago. While I didn’t hike up Mount Kilimanjaro, I had a very memorable visit to the National Park including a walking safari. Our park ranger guide carried a shotgun to protect us. What from? Water buffalo! Lions and other big cats are not a threat to groups of people but a herd of buffalo can stampede and be very dangerous. My trip to Tanzania was fuelled each day by terrible instant coffee. This despite the fact that Tanzania, especially the area around Kilimanjaro, grows amazing coffee! Unfortunately for my travels, the great coffee is exported and locals drink instant - or tea, which was delicious. Fortunately for you, we have a small lot purchase of this wonderful peaberry coffee from a coffee coop in Kilimanjaro. A peaberry is a specially shaped coffee bean. About 5% of coffee beans are peaberries. They are generally more expensive both because they must be hand sorted and because many people believe they are more delicious than a standard bean. A peaberry (also called caracol, or “snail” in Spanish) is a natural mutation of the coffee bean inside its cherry. Normally coffee beans grow two to a fruit, flat against each other like halves of a peanut, but a funny thing happens in about 5% of the world’s coffee, and a bean is born an only child.